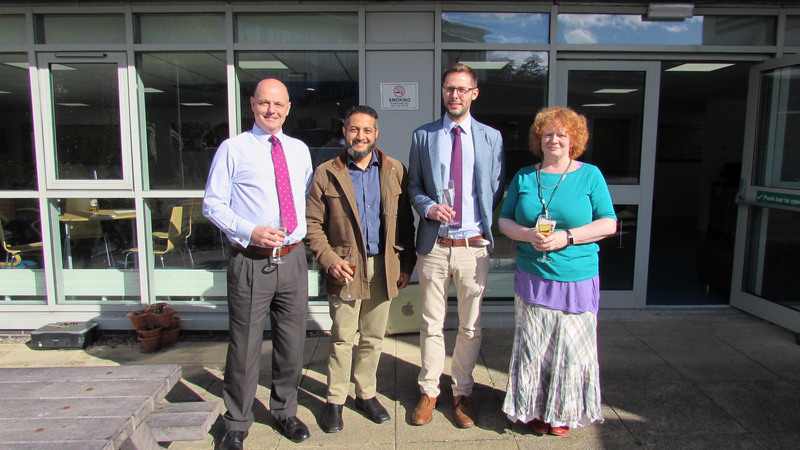 Congratulations to Khawar Shehzad, who successfully defended his thesis today. 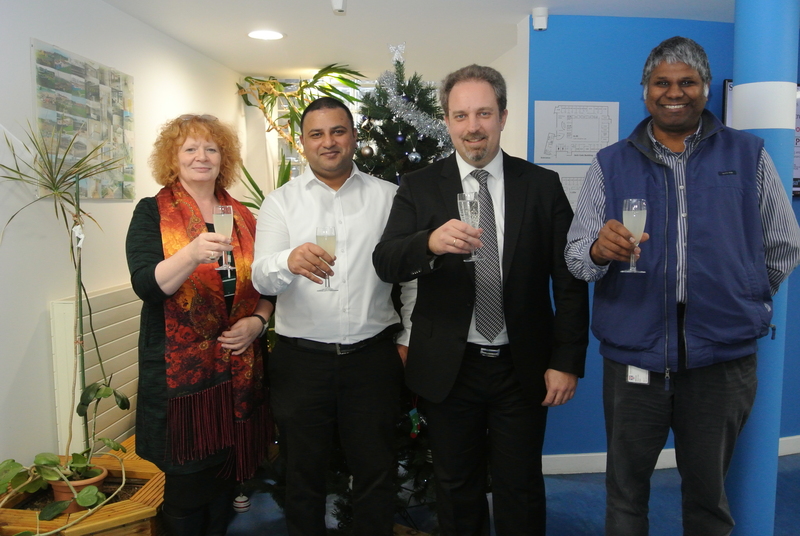 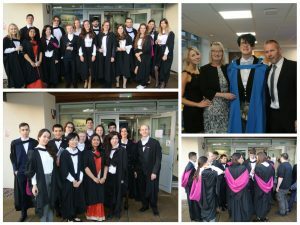 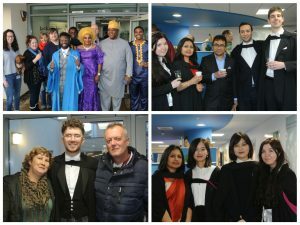 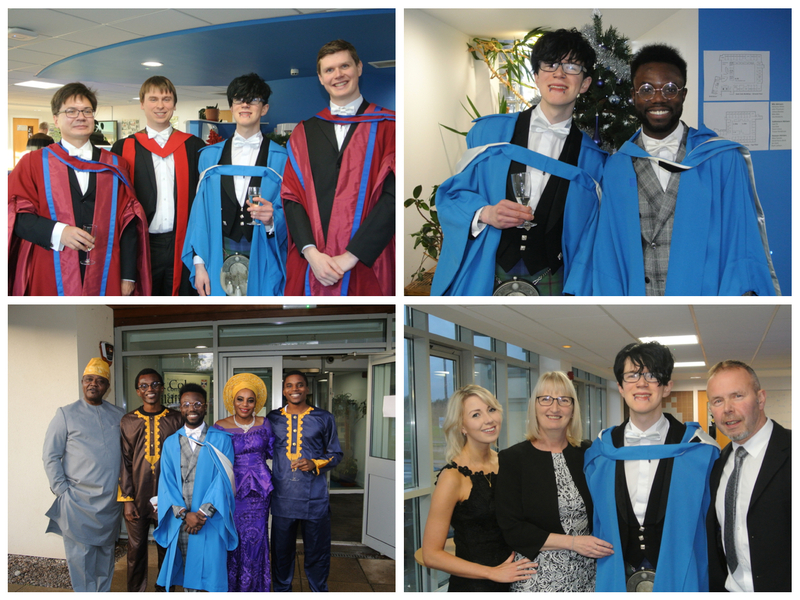 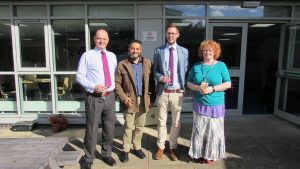 He is pictured with supervisor Professor Saleem Bhatti, Internal examiner Dr Ishbel Duncan and external examiner Dr Dimitrios Pezaros, from the University of Glasgow. 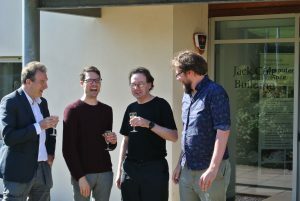 Congratulations to Julian Petford, who successfully defended his thesis today. 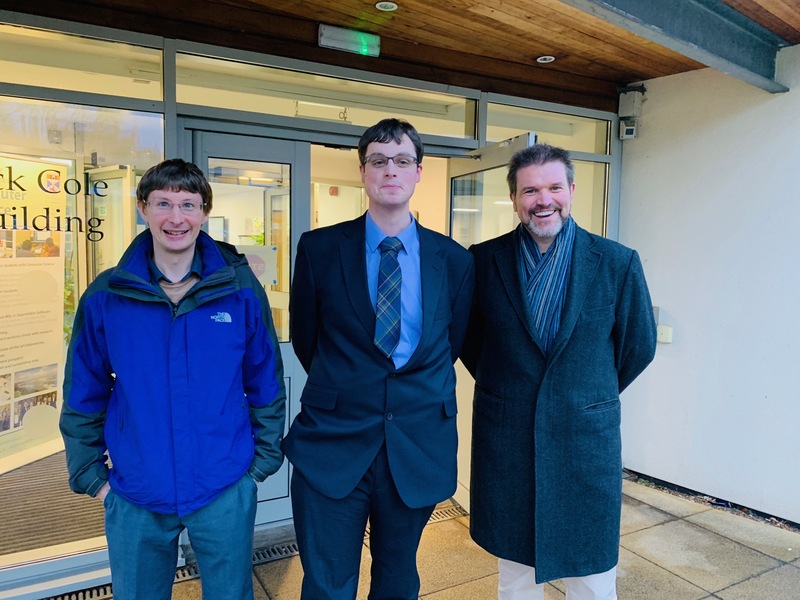 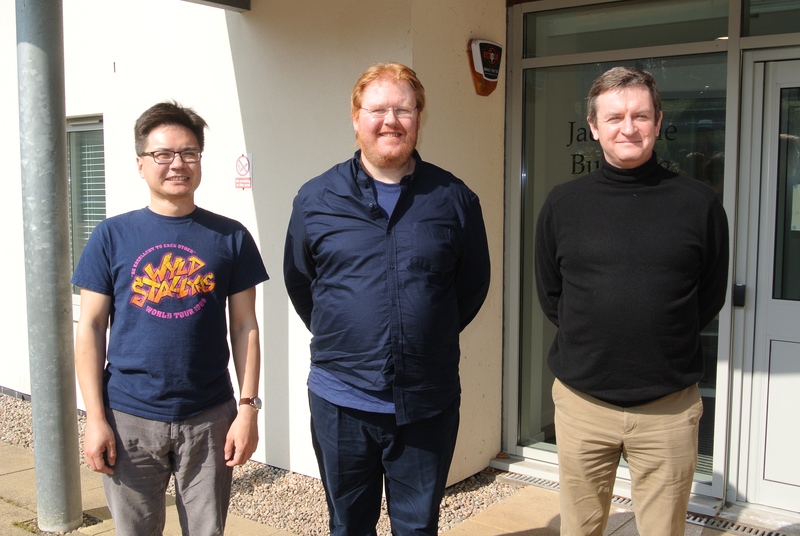 He is pictured with internal examiner Professor Aaron Quigley and external examiner Dr Jason Alexander, from Lancaster University. 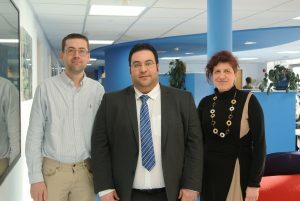 Julian’s PhD research in Full Coverage Displays for Non-Immersive Applications was supervised by Dr Miguel Nacenta. 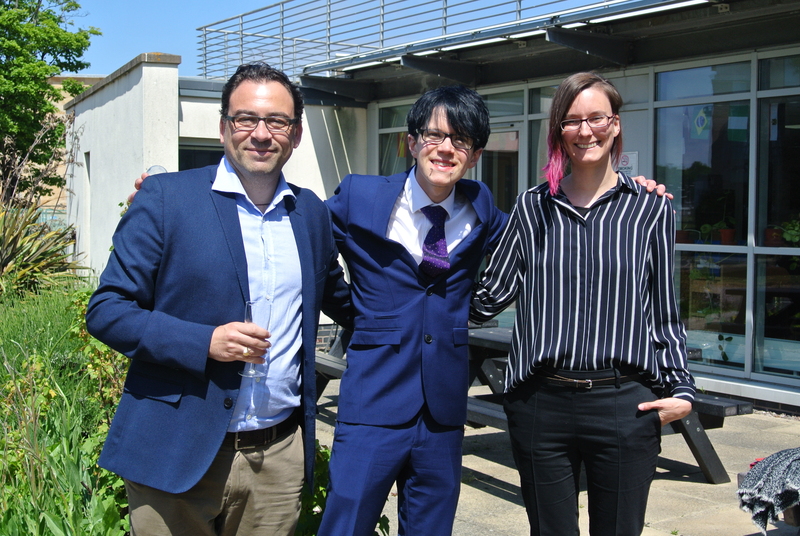 Congratulations to Adeola Fabola, who successfully defended his thesis today. He is pictured with supervisor Dr Alan Millar, Internal examiner Dr Colin Allison and external examiner Dr Elizabeth Falconer, from Bournemouth University. 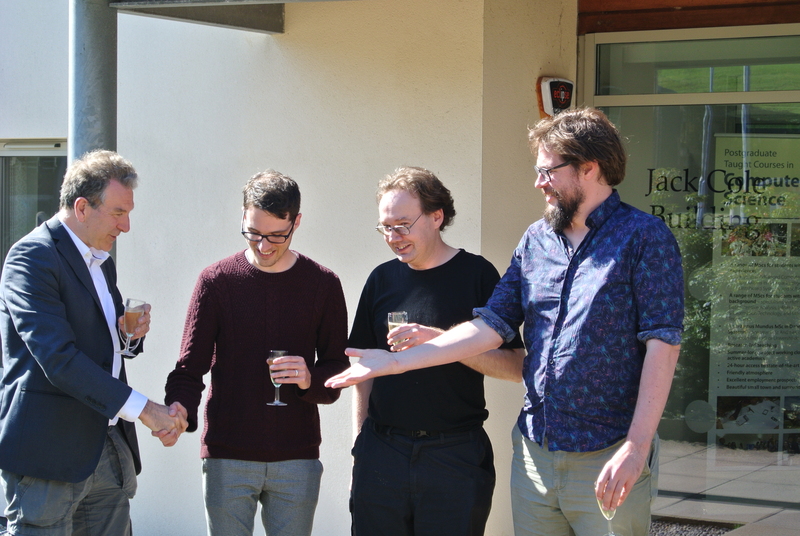 Congratulations to Daniel Rough, who successfully defended his thesis today. 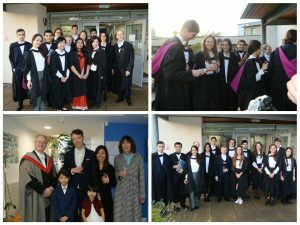 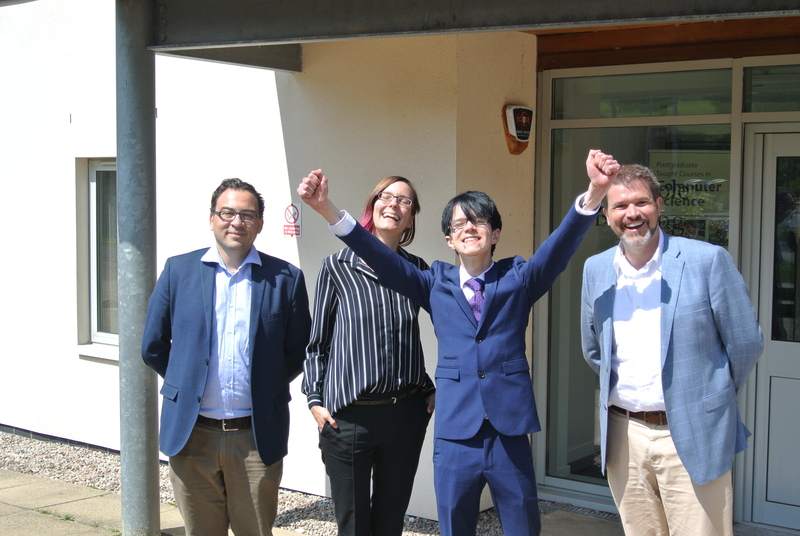 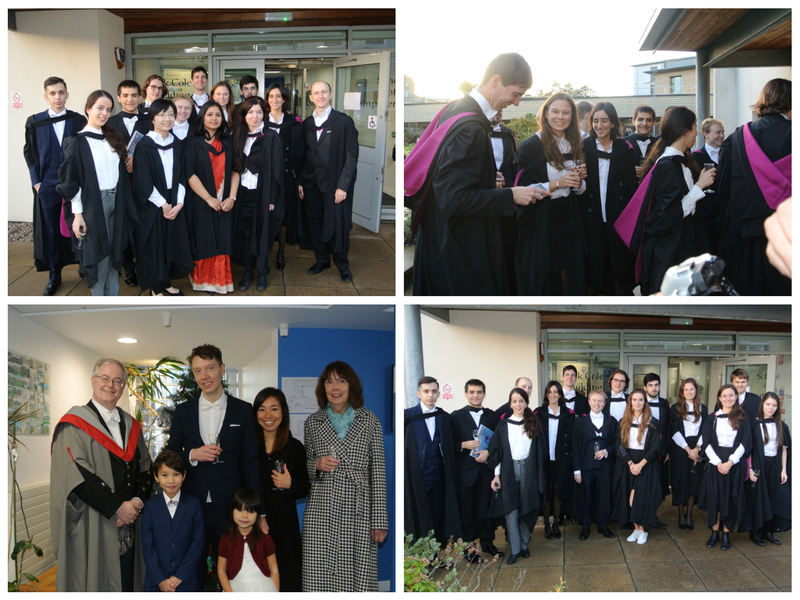 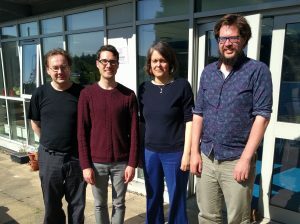 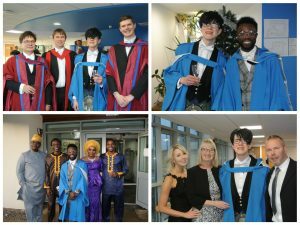 He is pictured with supervisor Professor Aaron Quigley, Internal examiner Dr Uta Hinrichs and external examiner Professor Alessio Malizia, from the University of Hertfordshire. Congratulations to Chris Schwaab, who successfully defended his thesis yesterday. 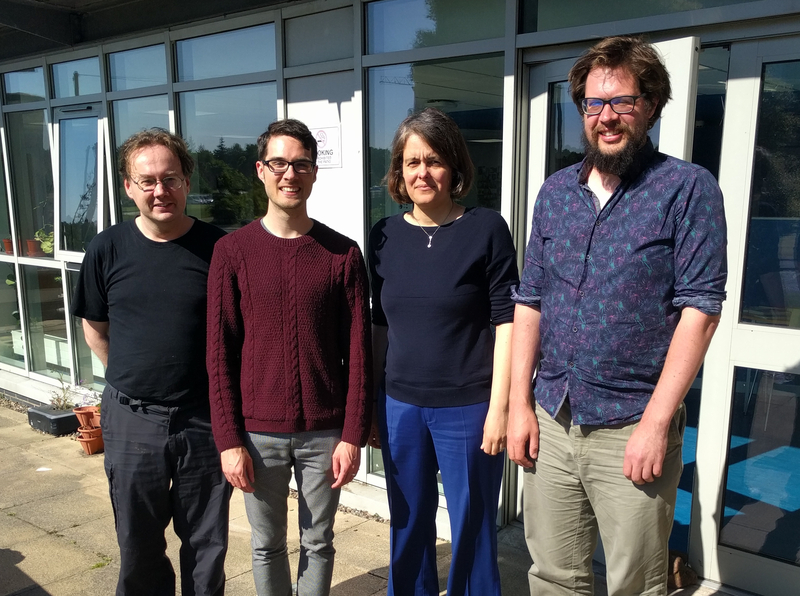 He is pictured with supervisor Dr Edwin Brady, Internal examiner Dr Juliana Bowles and external examiner Dr Bob Atkey, from the University of Strathclyde.